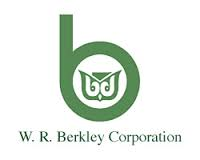 FRAMINGHAM, MA – October 28th, 2014 — Beacon Services and W. R. Berkley Corporation, (NYSE:WRB) a commercial and casualty property insurance holding company, today announced a successful completion of an upgrade to PeopleSoft FSCM 9.2. Beacon provided assistance throughout the project with the Initial Pass and subsequent functional and technical guidance and support which enabled the WRB team to complete the upgrade themselves over the weekend. WRB upgraded General Ledger, Accounts Payable, Assets, and Cash Management from PeopleSoft 9.1, a previous implementation project between Beacon and WRB. W. R. Berkley runs PeopleSoft Financials on SQL Server 2012.